Hi everyone! 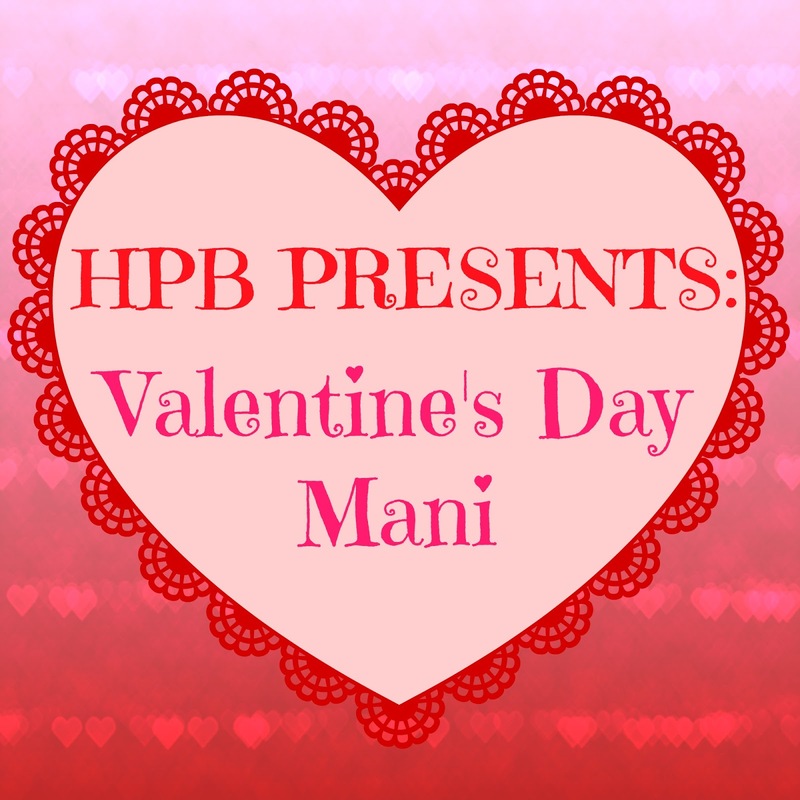 It's time for another Link Up with Hobby Polish Bloggers! I decided to go with some simple stamping for this mani. 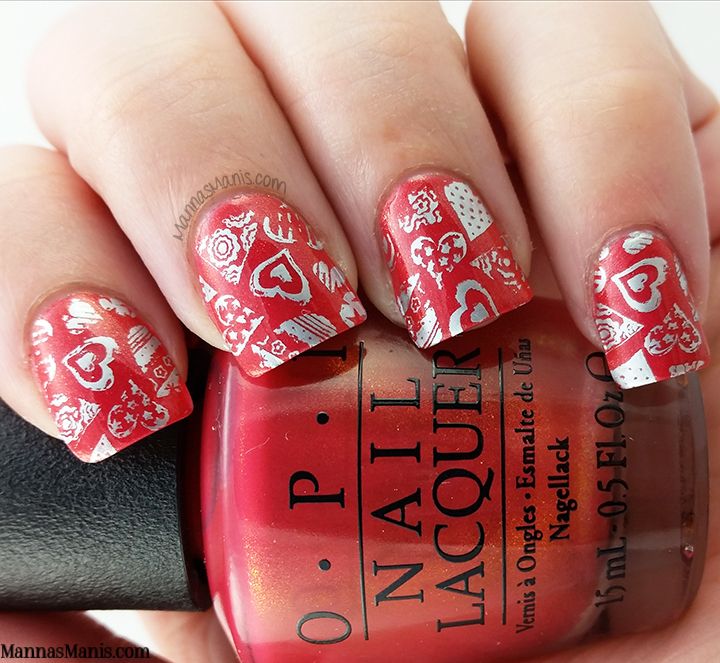 I'm not the biggest fan of Valentine's Day, but I have so many gorgeous unused Vday stamping plates! 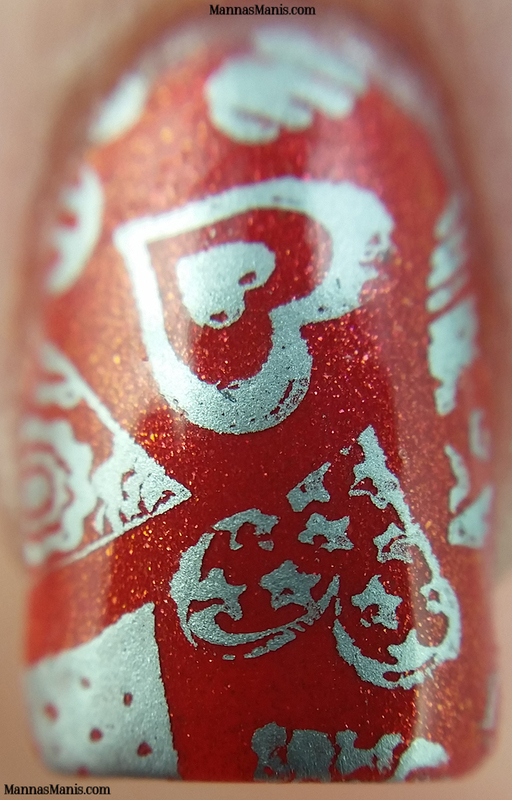 I love this OPI so much, I had to do some stamping over it. My MDU stamping polishes haven't seemed to hold up well, they were all goopy and nearly unusable. Has this happened to anyone else? I hope everyone has a good Valentine's Day this weekend. What are your plans?